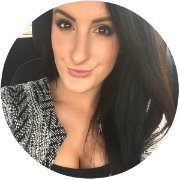 Over the past, few weeks, I've come to the end of some of my trusty, summer favourites and some newer additions to my beauty regimes. I'm sad to see the majority of them go, but it just gives me an excuse to go out and either repurchase or find something else to fill their gaps. That isn't so bad, but when a beloved product has fallen foul of a brand's decision to discontinue, it isn't always quite so easy. After a recent, hair-care overhaul, a large chunk of my routine now consists of Phyto products. I'm seriously loving the natural, nasties-free brand, at the moment and genuinely feel that my hair has never been in better shape, thanks to them. Initially, I was concerned that my barnet wouldn't be happy without its usual helping of artificial ingredients that don't penetrate the hair shaft and give long-term nourishment, but coat the hair and make it appear in amazing condition, for the short-term. No need; the Phyto products work even better. Not only has my hair has been looking pristine straight after washing and styling, but for the time in between, too. 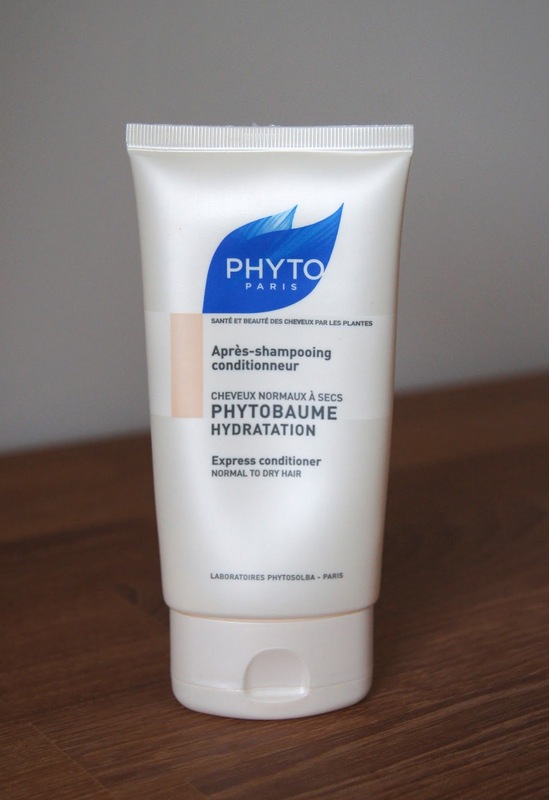 In order to get to grips with their abundance of products, I've been trying out many variations of each and I've just polished off the Phytobaume Hydration Express Conditioner. Usually, I flit between lighter, volumising conditioners and those that concentrate on hydration and reparation, so that my hair is never bogged down. I've been using this one every time I wash my hair, unless I've opted for a conditioning treatment mask, and my hair has always lapped it up and been so grateful. Without weighing it down, this intensely nourishes, smooths and softens. Even after using a clarifying, detox shampoo, I've consistently followed up with this one, as I know I'm not just layering up my locks with ingredients that only work on a superficial level. Free from silicones, the buttery formula hasn't clogged up my hair or made it lank and greasy, which other nourishing conditioners do, if I use them to the same degree. Just a small squeeze is plenty to inject my hair with moisture, feeding it with all things natural. My hair isn't particularly fine or thick, but it is dry, so you may need to alter your use of it, for the best results. For me, it's been a total hair saviour! Not only is the product amazing, but this modest bottle has lasted me for a good, few months and with my hair being so long and the rate that I wash it, that's a miracle! At £13.50, it may not be the cheapest, but it doesn't break the bank, either and I already have a back-up stock waiting in the wings! Whether sponsored or not, there's been a tonne of Michael Todd coverage floating about the beauty sphere for a while now. A huge surge of reviews, coincidentally all at the same time, tend to put me off trying a brand. Especially if they're selling skincare, as I'm never sure whether money is tainting that type. Call me cynical, but I'm just being honest! One thing that I couldn't ignore with the Michael Todd line, is that it's highly organic (97%) and contains a lot less *&%!, than most. Seeking to streamline my skincare and fill my routine with all things good, I placed an order and waited in anticipation. I was wrong to be wary. 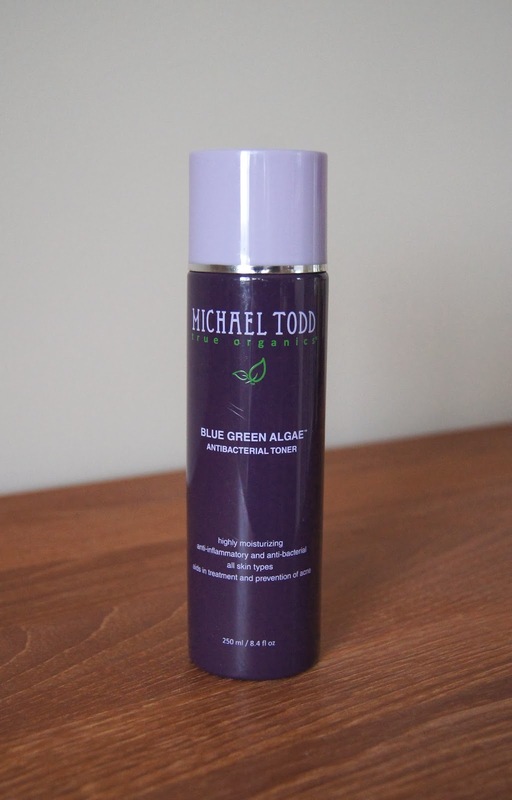 I've been so impressed and, by far, the stand out product for me has been the Michael Todd Blue Green Algae Toner. Usually when a toner has an antibacterial, blemish-fighting element to it, you're left with a clearer, but drier complexion, thanks to gallons of alcohol being thrown into the solution. I tried many in my younger days, which caused more problems than they solved, leaving my skin red, sore and irritated. This one from Michael Todd, couldn't be any different. Since first cracking open a bottle and trying it, I haven't used another toner in my morning routine. It has a silky, watery consistency and you barely need any to saturate a cotton pad and cover your face. Unlike most toners, this leaves skin feeling soft and hydrated, rather than too clean and lacking in moisture. You do feel a slight tingling sensation when it's swept across the skin, but it isn't at all uncomfortable and soon calms down. Working to fight bacteria, inflammation and blemishes, this has helped my complexion remain clearer for longer, especially around that time, when my hormones play havoc with my jawline. If any blemishes do crop up, this aids in healing them effectively, but also quickly. At the current exchange rate, a 250ml bottle costs roughly £11.30, which is such a bargain for an organic, skincare product, that actually works. I always invest in skincare, as, like Caroline Hirons says, you only get one face and I'd be happy to pay much more for this toner. As you need such a small amount per use, a bottle lasts months, but I always order a few at a time, seeing as they're shipped from America. On that note, I haven't experienced any problems with their delivery, but I always order well in advance, to avoid being left in the lurch without any. Soap & Glory body products are up there with the premium brands. I've had better results from their body scrubs and moisturisers especially, than I have when paying double, or even triple, the price. After trying around three quarters of the body moisturisers they have to offer, I'd say that the Butter Yourself version only marginally pips this one to the number one post. Soap & Glory The Righteous Butter is a super thick, creamy body butter which has the original fragrance to it. Ultra rich and nourishing, it makes light work of any dry patches, elbows and knees, leaving skin noticeably softer and more supple after use. Fortunately, it isn't hard work to apply it. It may not have a runny, lotion consistency, but you don't have to have biceps the size of mountains to spread this around and rub it into the skin. Unlike a lot of intense skin conditioners, it quickly sinks in and doesn't leave behind a greasy or sticky residue. Phew, we don't have to walk around like zombies for a while, before getting dressed! Even if I skip applying this on the odd occasion, if I've been religiously slapping it on most days, my skin still feels, as the tub says, like velvet. It's taken me so long to work my way to the bottom of this 300ml tub, that I can't remember when I first even opened it. They last forever, cost just over a tenner and it's a brand that's easy to get your hands on - you can't go wrong! 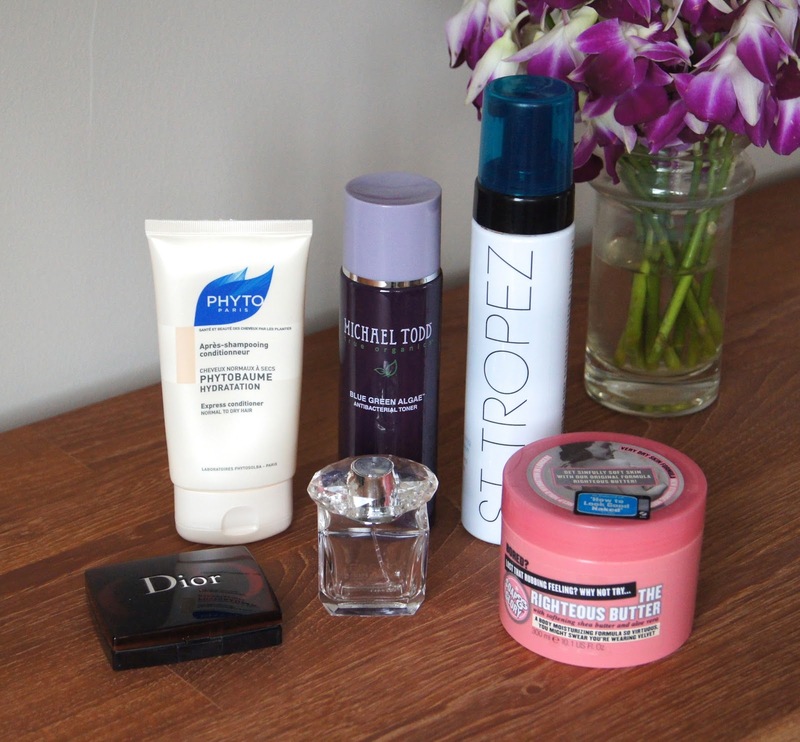 St Tropez was the only brand I gravitated towards whenever I needed a helping of faux glow, a couple of years ago. It ticked all the boxes. But then, of course, I couldn't resist stretching my beauty-obsessed wings and sampling other brand's bronzing boosters and our long-term love faded. 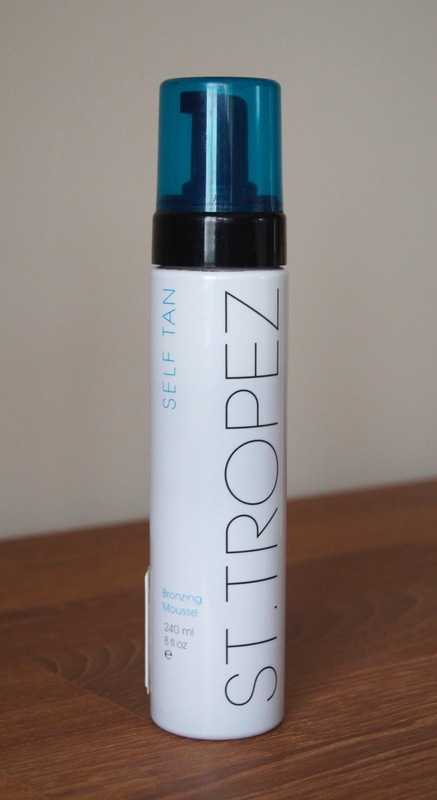 At the beginning of Summer, I thought I'd venture back to the cult-classic, St Tropez Bronzing Mousse, to see if it matched my recollections of using it and my only slightly, sun-kissed skin, was the perfect canvas to test it on. I know exactly why this was once my holy-grail, tanning product. The silky mousse gives instant colour, so you don't miss bits, is seriously dark to begin with, so you don't need to layer it up and it allows for a speedy, but even coverage. On my skin, it doesn't lean too orange and I never get embarrassed to show off my skin when I wear it. Or maybe I should change that to the past tense. Not only have I noticed a change in my facial skin type, but this showed me that my body has also become drier over the past year or so. At one time, my skin could handle a tanning product that didn't offer much in terms of hydration or moisture, but those days have gone, it would seem. No matter how much I prep my body, buffing away any rough areas, or maintain my tan, by exfoliating and liberally moisturising, my body ends up patchy within a couple of days. What a disappointment. With other brands, like Xen Tan for example, that doesn't happen. The verdict? Now that I've used this up, I doubt I'd pick it up again. There's so many brands on the market and it's time to foray into the James Read world, me thinks! We had fun while it lasted, hey, St Tropez? Years ago, I adored this and even though it was pricey, I'd feel like a million dollars when I used it, getting compliments on how my tan was always flawless. Now, that isn't the story and it's so costly that I couldn't justify spending over £30, when a bottle of St Moritz would do the job just as well. Give it a go if you're after a deliciously dark colour and your skin isn't becoming like that of an elephant, any time soon! There are certain fragrances that you buy time and time again and always like to have a bottle of in your collection. They're the ones that conjure up wonderful memories and signify a certain time in your life. 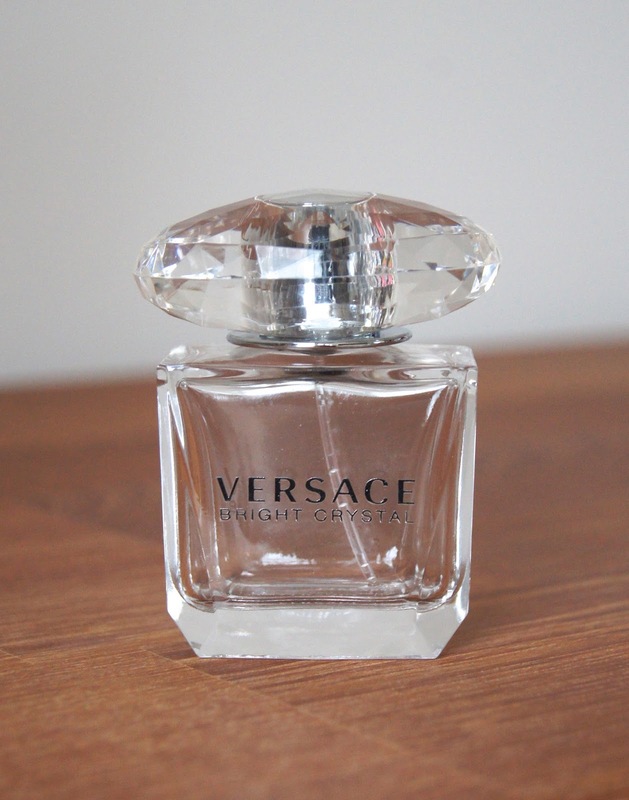 Versace's Bright Crystal Perfume is one of mine. When it comes to writing up about a fragrance, I always struggle to put a scent into words. To avoid becoming tongue-tied, this perfume is just Summer in a bottle. Bright Crystal isn't actually far off how I'd describe it; it's certainly invigorating and has a clean feel to it. Fresh, fruity and floral, this is vibrant and really does brighten up my mood as soon as I spritz it. Whilst this is a very feminine fragrance, it isn't too sweet. I'm so gutted to have used up this bottle and can't wait to purchase another, although I did pick up a cheeky rollerball version whilst in New York a while ago, so that'll keep me going for now. A 50ml bottle will set you back around £40, depending on where you purchase it from. The clear, glass bottle is beautiful, adorned with the silver, Versace logo, encased within the faceted lid that resembles a crystal. It deserves a proud placement on any dressing table, but it does look much nicer when full of the pretty, pink perfume, I must say! 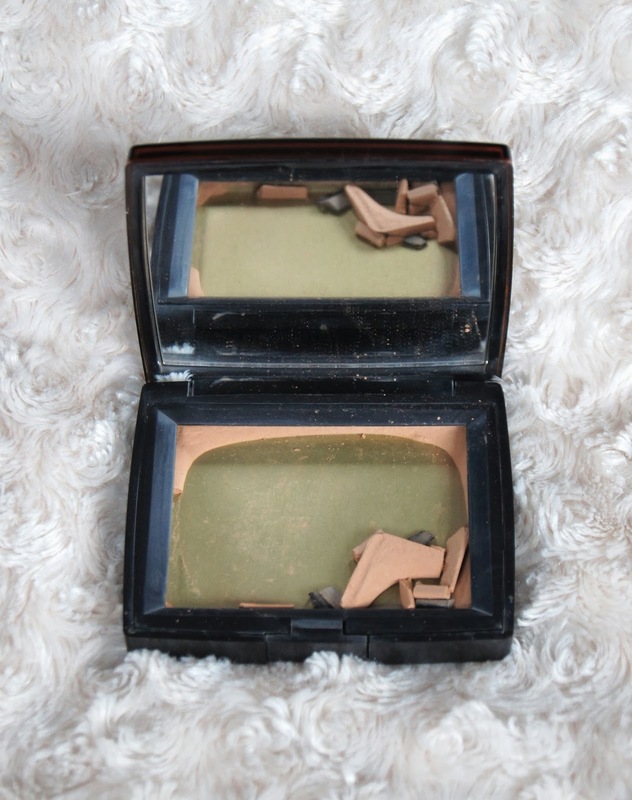 Unfortunately, the Dior Bronze Matte Powder has now been discontinued, which makes me mad! I just thought I'd give you a heads up, in case you were unaware and were tempted to buy it. Why do brands always get rid of some of their best products, in favour of others which are questionable in quality and don't come close in comparison? I'm not just talking Dior here, either! Anyway, back to the real reason we're here. There isn't much point in going too in-depth with this one, so I'll keep it short and sweet. With a lot of bronzers, you have to be somewhat careful with your application. You don't want to overdo it and end up orange, you don't want one that contains too much shimmer, if you want to double the product up as a contouring shade too and no-one likes to end up with the muddy, patchy look. Forget about all of that with this Dior bronzer. Leaving your skin feeling like velvet, it has a texture so soft and smooth, that it's a joy to apply. Whether you're in the mood to sculpt or add a healthy glow, this bronzer does it all. From what I remember, this compact cost me around the £30 mark, which is expensive, but I did buy it a long time ago. I may have used others since, but hitting pan with this took a good while. 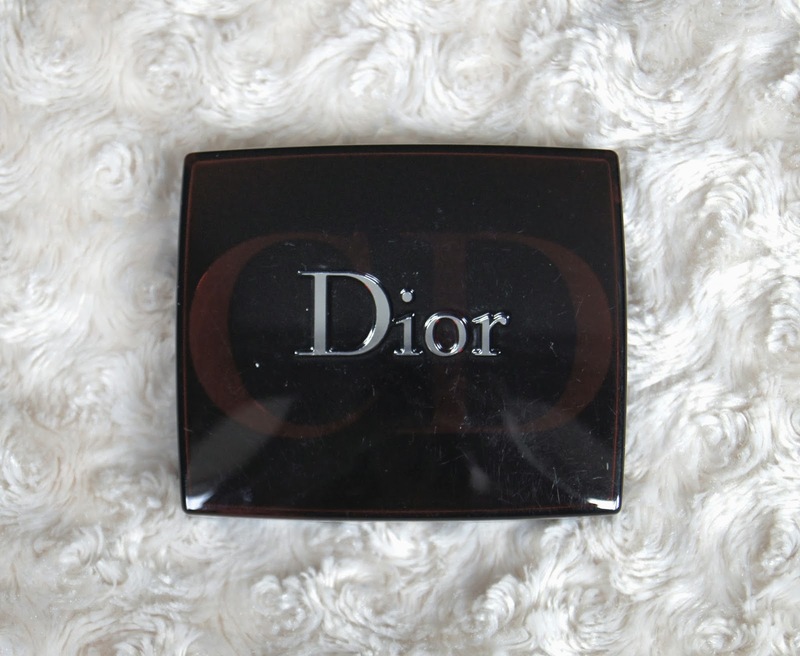 Of course, being discontinued, I wouldn't imagine that you'd be able to get your hands on it now, but I'm sure that the current Dior bronzers are just as impressive as this one. I'll be sure to add another to my wish-list, now that this one is heading for the bin!